I could be fooled for thinking that I was in some other place. North America. Maybe… No, it looked more like I was in Europe. Yes, definitely more European than American. The houses, they looked chic and expensive… and very western. It was un-Asian, if there ever was such a thing. There were maple trees all around me, with leaves withering into shades of red and brown. It was also freezing cold, and fresh snow was on the slippery ground. I couldn’t help it; the Christmas spirit came rushing in and I imagined I was Bing Crosby humming “White Christmas.” Very ironic thing to do, for I was very much in Iran. Humming Christmas carols in this, my last day in the Islamic State was surreal. I didn’t care even when the other passers-by heard me. It was my last day here and that was to be my excuse. 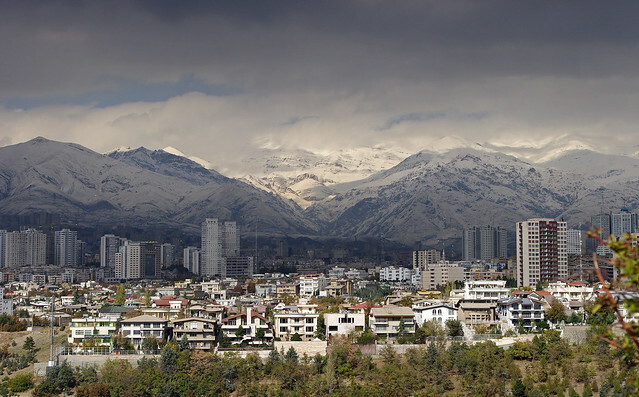 After 9 days of traveling, I finally made my way to Tehran, the frenetic and often misunderstood capital of this equally misunderstood country. And what a great way to end my trip than with this winter scene.